Get ready to travel back in time in this new Quentin Tarantino film. On Monday, star Leonardo DiCaprio shared the first poster for Once Upon a Time in Hollywood, which also stars Brad Pitt. The film follows DiCaprio as a washed-up actor from a western TV series and Pitt as his longtime stunt double as they struggle to find continuing success in their careers. The poster has a dreamy quality to it, but in true Tarantino style, the plot is sure to be dark. From the film’s IMDb page, we know that Pitt plays a character named Cliff Booth while DiCaprio plays Rick Dalton. 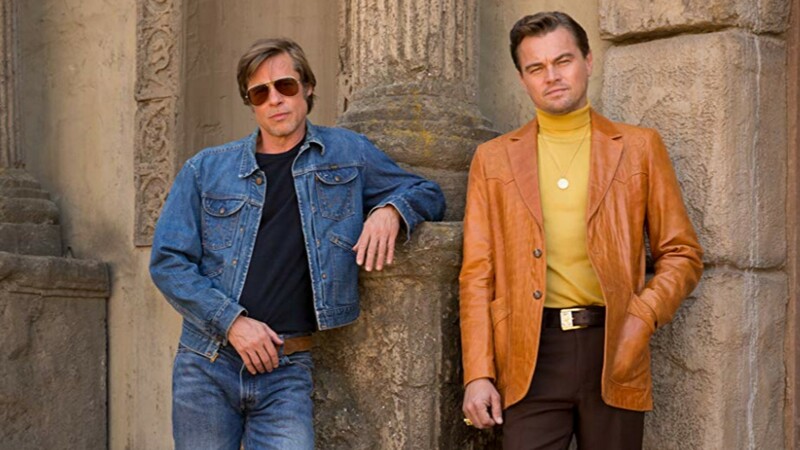 A synopsis for the film reads, “A faded TV actor and his stunt double strive to achieve fame and success in the film industry during the final years of Hollywood’s Golden Age in 1969 Los Angeles,” and we’re willing to guess that the TV actor and stunt man are Pitt and DiCaprio — but we’re not entirely sure who’s playing who. In fact, we’re not too sure about the plot beyond this tease, although we do know Margot Robbie is playing Sharon Tate. The rest of the cast includes heavy hitters like the late Luke Perry, Al Pacino, Dakota Fanning, Timothy Olyphant, Tim Roth and Kurt Russell. Given that we don’t know too much about Once Upon a Time In Hollywood, it’s only natural that the film’s first poster, has gained immediate attention from DiCaprio’s Instagram followers when DiCaprio posted it to his account on Monday. And other reactions were similar to these ones, going for a lighthearted, if not slightly sharp or snarky, tone. Several people commented that they are eagerly awaiting the first trailer for the film, which is set to hit theaters in July. Hopefully, the trailer will give more insight as to what’s to come in the film. We’re eagerly awaiting the details.